According to the Deschutes’ website (www.deschutesbrewery.com), the list below is where and when you will find the launch party as the brewery prepares to enter the Iowa markets. If you make any of these dates I would love to hear your experience! Friday July 19th, 5-7 p.m.
Friday July 19th, 8-11 p.m.
Saturday July 20th, 3-7 p.m.
Saturday July 20th, 8-11 p.m.
Monday July 22, 11:30 a.m. – 6:30 p.m.
Monday July 22, 5 – 6:30 p.m.
Oh hey, ANOTHER outfit that thinks the Iowa state line ends at Iowa City. Puke. I’m going to threadjack your blog for a small rant, so feel free to delete if you want. But c’mon! Arguably, the Quad-Cities and Davenport have been at the forefront of supporting, nurturing and appreciating craft beer the longest of any metro area in the state. Front Street, Blue Cat and Bent River were operating before Iowa City (and I think Des Moines) had even a single brew pub. Great River now has a very large canning operation and is making all kinds of interesting beers. Davenport itself was one of the largest brewery cities in the U.S. thanks to its large German population in the late 19th Century. 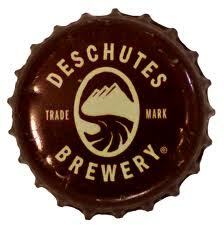 Yet there will be no Deschutes launch party over here in the east side of the state. Note to those who don’t get this: WE ARE NOT PART OF ILLINOIS! //Steps off soapbox. Apologizes for ranting. Excellent rant; couldn’t agree more. Hopefully you will see their stuff on shelves over there. Hy-Vee Madison Ave/Mall of the Bluffs (Council Bluffs) on Saturday, July 20 from 3-6 PM will have a free beer tasting outside with four Deschutes beers, food and thier moblie bar Woody.